I am looking for some help from anyone who has had a similar experience working with Oculus. I have attempted to contact the support team regarding a bulk order of Oculus Go systems. I have made tickets within the consumer website and have sent emails to both the consumer portion of Oculus and the business side. Being that we are a State University, we are tax exempt and therefore do not pay tax on goods we order. In attempting to contact Oculus I have mentioned this in at least 2 of the 4 tickets I have created. The most recent ticket I created was opened and resolved within an hour and had not been altered by Oculus with suggestions for how to move forward. Has anyone had any experience ordering with tax exemption or bulk orders for state universities? Any help would be much appreciated. I am looking for same information. Any luck with finding the solution ? Awesome news. New technologies at universities are always good. Unfortunately, it can't be realized for all the high schools. 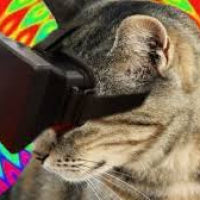 Although, the bigger problem is not in a lack of Oculus rifts but in outdated study programs. For instance, my major is aerodynamics but I have to write a lot of essays! Yeap, I can avoid it due to services like https://edureviewer.com/services/bid4papers-com-review/ but still, it's not good.